India is a country of incredible contrasts, cultural diversity and a rich history that could give students a whole range of new experiences. Students on educational trips will have the chance to experience life in a developing country, compare it to their own, and contemplate the barriers and challenges preventing this fascinating country from keeping up with the western world. From the minute you step out of the airport you cannot fail to be overwhelmed by the sheer energy. Everywhere simply buzzes with activity; the streets heave with traffic and yet the apparent chaos seems to have an element of organisation as the people go about their daily business amongst it all. However, what students may find overwhelming is the vast population and the lack of resources, as this is evident everywhere — the animals grazing on the rubbish piles, the abundance of plastic strewn in the streets and the striking level of poverty. This could help students develop a sense of spirituality, beauty and humanism. There is something special that uniquely belongs to India that inspires, motivates and humbles all at the same time. The Golden Triangle showcases the best of Northern India and gives a real insight into the history of the Moghul dynasty that left this part of India one of the Seven Wonders of the World. Made up of Agra, Delhi and Jaipur, this trip is easily done by train. Begin your journey in the capital city of Delhi, the most populated city in the world, and visit the magnificent Red Fort and wonderful Jama Madjid mosque. Take a tuc-tuc ride into the old town’s heart and let your students get a taste of the authentic local side of this busy city. Old Delhi is a bustling, somewhat chaotic place — and a complete feast for the senses. Students will be drawn to the shops with the beautiful coloured silks and saris hanging from the windows, or the gold and silver jewellery displays full of all manner of intricately designed pieces. The spices give off a heady aroma and the street food sold on every corner is enticing and intriguing; one of the many charms of having educational trips to India. 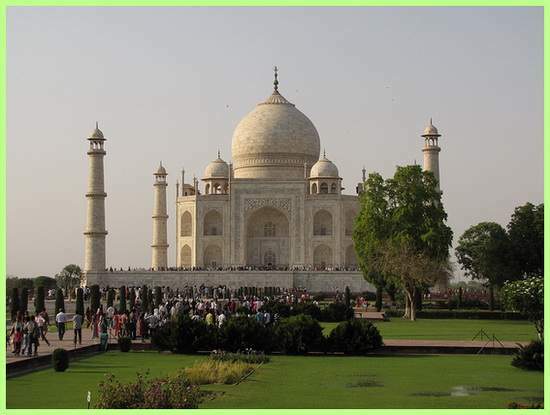 Move on to Agra, home of the Taj Mahal, one of the most wondrous, romantic and magical sights in the world. Students will find the view at the night time scintillating, at the least. Jaipur, known as the Pink City, has stunning buildings, palaces and forts giving off a pink hue with the changing light. This place is a photogenic gem, where you could encourage students to experiment with their budding photography skills. Jaipur’s main attraction is the Amber Fort, which is an incredible building designed with a combination of Moghul and Hindu architecture. Man Singh II, an influential Moghul ruler, originally commissioned the building, which is today open to the public and could be something for students to explore. Travelling to India is a wonderful experience, and regardless of subject, the place has something to offer everyone. Students on educational trips to India will have the opportunity to travel to a country so unlike their own, experience a completely different culture and be encouraged to appreciate the challenges and issues of one of the world’s most diverse nations.